The Via Sepulcral Romana dates back to the first century AD. During the period of the Roman Empre cemeteries were built outside the city limits. 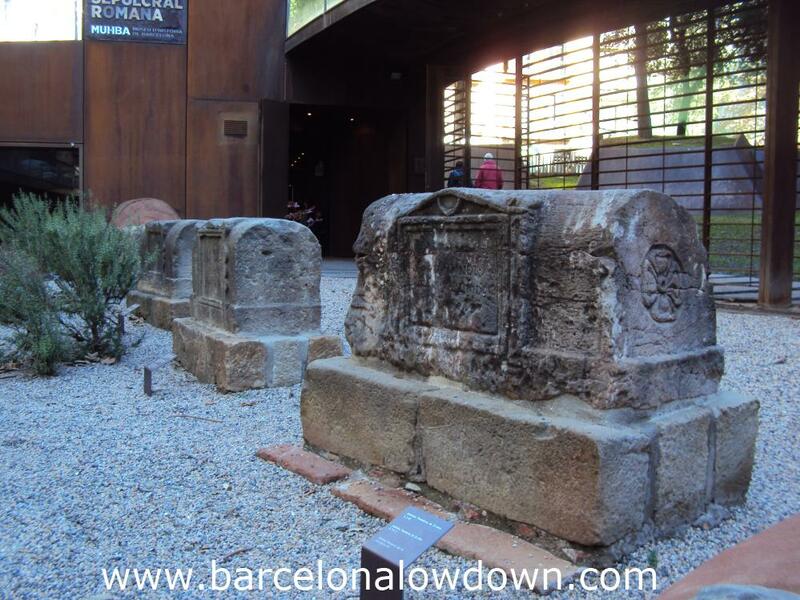 In this case the tombs lined the road between Barcino (Barcelona) and nearby Sarria. 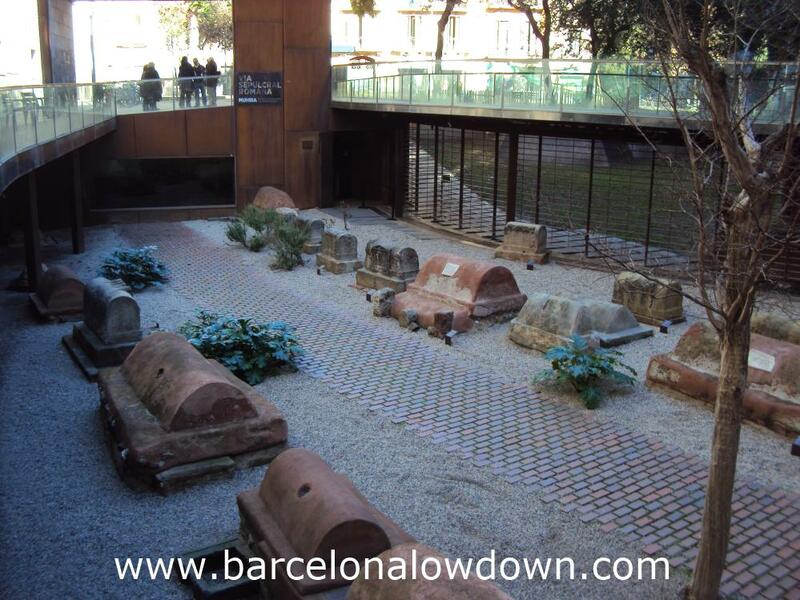 The cemetery was discovered in the 1950s when buildings which had been badly damaged by bombs during the Spanish Civil War were torn down to make way for a new plaza. The site was excavated and preserved as part of Plaça Vila de Madrid. In 2009 the Via Sepulcral Romana became part of the MUHBA and an exhibition hall was added. The small exhibition is is divided into 2 parts. The first part is dedicated to the Roman road network and includes reproductions of ancient maps of Europe. The second section explains Roman burial practices and contains some of the artefacts found at the site. 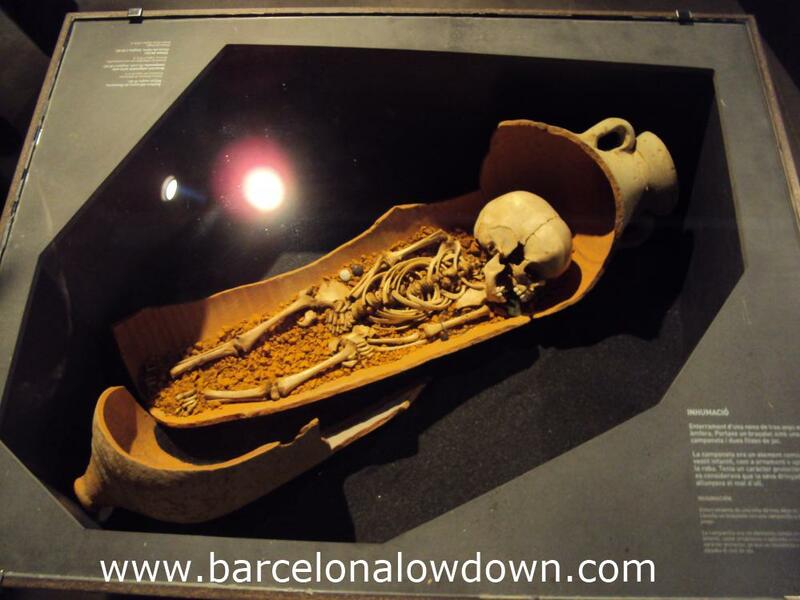 You should allow 15 to 20 minutes to visit the exhibition and tombs. If you are short of time (or money) you can see the graveyard from street level without entering the exhibition. The exhibition is in Catalan and Spanish but there are English language leaflets available. The tombs are labelled in English. You can also download English language PDFs explaining the history of the site. Here and here. I also suggest you take a look at this interesting collection of old colour photos which includes a surprising photo of the square in the 1960s. The MUHBA Via Sepulcral Romana is located near La Rambla in the Gothic quarter. Entry to the exhibition / graveyard is free of charge after 3pm on Sundays and all day on the first Sunday of the month. This entry was posted in Attractions tagged cemetery, gothic quarter, MUHBA and updated on October 30, 2016 by Richard.